Senior midfielder Charlotte Martin sprints past a defender. The Wildcats will need Martin’s experience and leadership as they try to right the ship in Big Ten play. The Wildcats’ rough start to the conference season spilled over into the weekend, and for the first time since 2011, the team continues to hover below .500 in Big Ten play. No. 14 Northwestern (8-4, 1-2 Big Ten) split its two road games this weekend, beating Rutgers (5-4, 0-3 Big Ten) and falling to Indiana (5-4, 2-0 Big Ten). While the Cats took care of Rutgers in the fashion of a 5-1 victory, the team struggled against a stout Indiana defense. Despite outshooting Indiana 20-9, NU could only score 2 goals against freshman goalie, Noëlle Rother, who recorded 12 saves in the Hoosiers’ 3-2 win. The same Cats offense that scored 4 goals in 37 minutes against Rutgers was unable to score for the first 16 minutes of the game against Indiana. Freshman forward Eva van Agt scored the first goal for the Cats after striking the ball from just inside of the circle to tie the score at 1. Two minutes after scoring, NU trailed Indiana again, when Indiana forward Maddie Latino scored the first of her 2 goals. 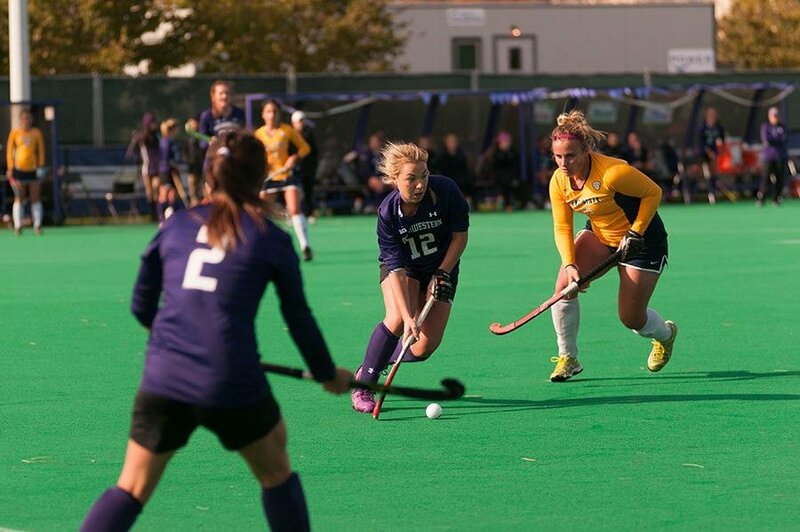 Then just before halftime, the Cats’ leading scorer, Isabel Flens, tied the game for NU on an assist from Van Agt. The Cats controlled possession coming out of halftime but did not convert opportunities for the rest of the game. Junior midfielder Dominique Masters attempted 11 shots including eight on goal, but she was not able to get the better of Rother. Additionally, NU was unable to capitalize on any of its 11 penalty corners. Next week will be a critical Big Ten matchup for the Cats as they try to claw their way back to .500 in conference play. NU hosts No. 16 Iowa, who also lost to Indiana, on Friday.